With Samsung Pay, you can use your phone to get even more AIR MILES Reward Miles, every day. 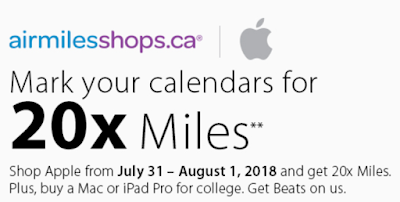 Get Miles with these great offers from July 30, 2018 to December 31, 2018! 1) Sign into your Account Profile at Samsung.ca and add your AIR MILES Collector Number. You’ll get 50 Reward Miles! 2) Once you’ve updated your Samsung Account, add your AIR MILES Card to the Membership section of the Samsung Pay App. 3) Scan your AIR MILES Card through Samsung Pay when you shop at AIR MILES Partners and get 5 Miles every time, up to 25 Miles per week. Note: You don't need to pay with Samsung Pay. All you need to do is to show your AIR MILES Card from your Samsung Pay Wallet. No minimum purchase required. 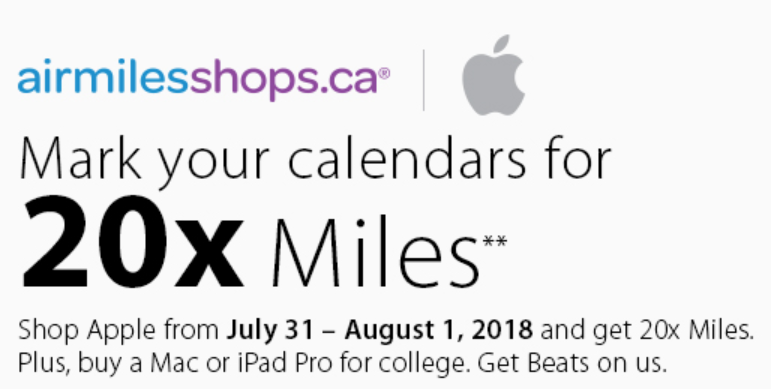 If you shop Apple through airmilesshops.ca between Jul 31 - Aug 1, 2018, you will get 20X miles. Plus, you can get Beats if you buy a Mac or iPad Pro for college. By August 31, 2018, send in proof of your current frequent flyer status (valid till February 28, 2019) with a competitive Canadian airline to statusmatch@westjet.com and get Gold until October 31, 2018. 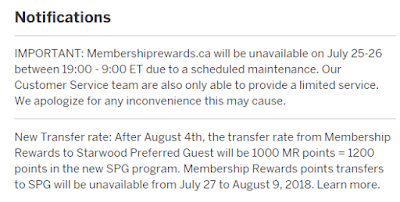 Be sure to include: Your first and last name; Your 9-digit WestJet Rewards ID (If you’re not already a member you can join now); A photo or scanned copy of your membership card in the other Canadian airline’s frequent flyer program showing your name, current status and valid dates. Take at least six WestJet flights between July 23 and October 31, 2018 and have your Gold status extended to December 31, 2018. Also, get the WestJet RBC World Elite Mastercard between July 23 and December 31,2018 and receive 120 bonus WestJet dollars. 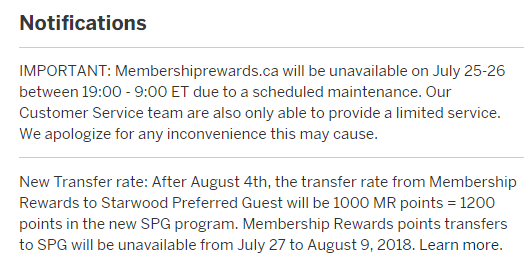 Plus, you’ll have your Gold status extended to August 31, 2019. IHG Rewards Club has released their latest IHG Rewards Club PointBreaks. 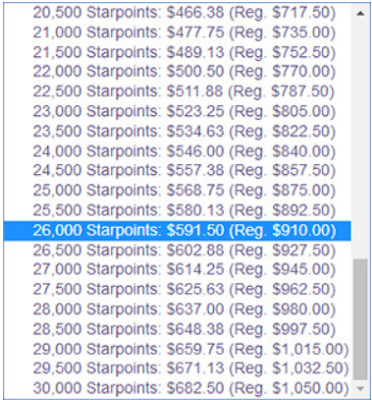 I think the PointBreaks is one of the best hotel points deals around. With the PointBreaks promotion, you can take advantage of Reward Nights for as little as 5000 points per night! And this time, you can also book some premium hotels with 10000 to 15000 points per night (including some Crowne Plaza and InterContinental hotels). Due to the limited availability, each member may only book two PointBreaks Reward Nights reservations per hotel during the special offer time period. Offer and participating hotels are subject to change at any time, valid for booking through September 30th, 2018. 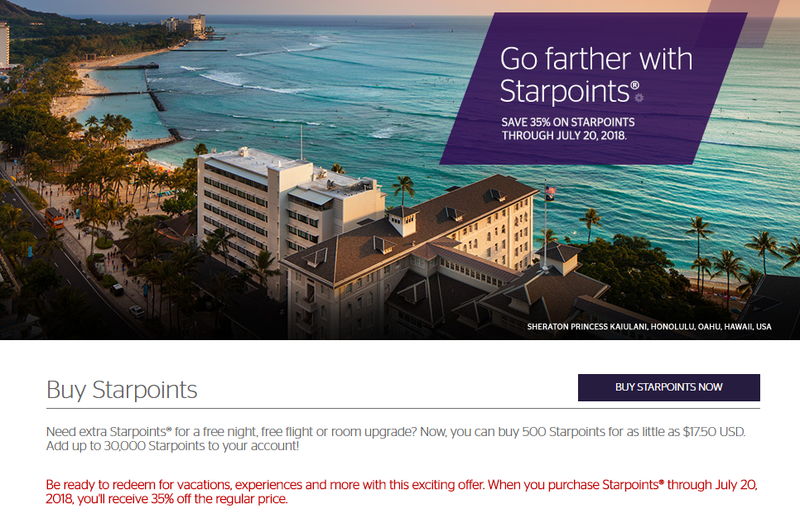 If you don't have enough IHG points in your account, you can buy some points now with 50%/75%/100% bonus when you buy 5000+ points for this event. This offer ends Aug 22, 2018. Please click the "BUY NOW" link below to check your own offer. Apply for a Scotia Passport Visa Infinite card, Scotia Momentum Visa Infinite card or Scotiabank Gold American Express card through RateSupermarket.ca and you’ll receive $100 in cash via Interac e-Transfer or an e-gift card (BestBuy, Starbucks or Amazon) from RateSupermarket.ca when your application is approved. This offer is available until Jul 31, 2018. 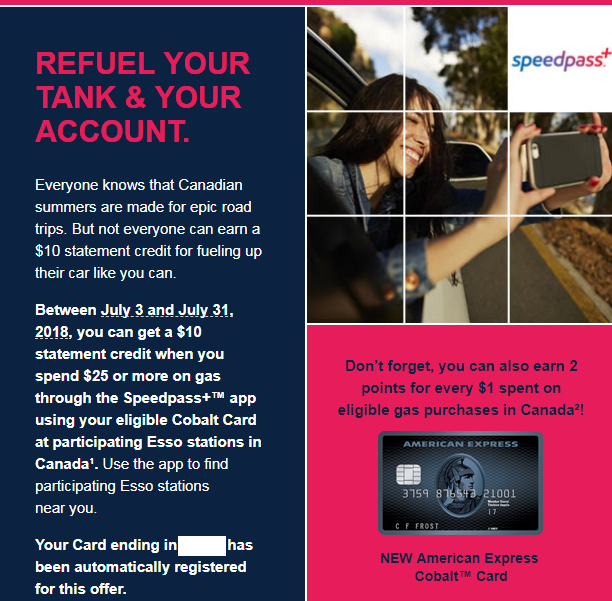 If you are a cardholder of AmEx Cobalt card, you can get a $10 statement credit when you spend $25 or more on gas through the Speedpass+ app using your eligible Cobalt Card at participating Esso stations in Canada before Jul 31, 2018. Don’t forget, you can also earn 2 points for every $1 spent on eligible gas purchases in Canada with your AmEx Cobalt Card. 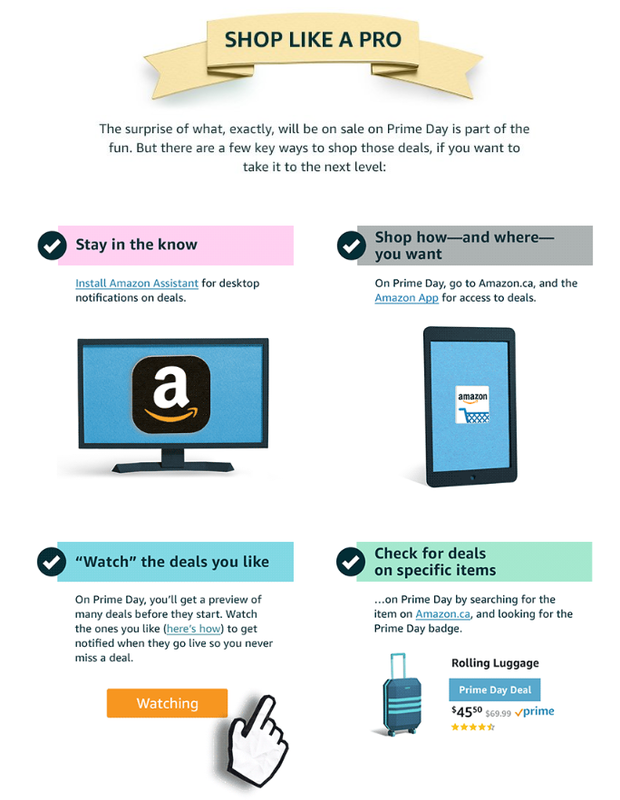 Amazon Canada Prime Day deals start Jul 16, 2018, 3pm ET. There will be many great deals exclusively for Prime members that day.